JangoMail users now have the option to create alternate login credentials (username and password) for their accounts. 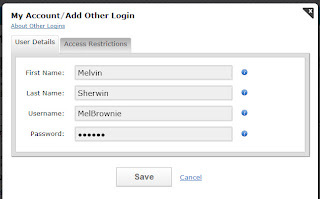 Creating additional logins will allow additional people access to the same account. Creating additional logins does NOT create new JangoMail accounts, and all logins have the same permissions as the main username/password on an account. You may find this useful if you have multiple people accessing the same account. With different logins assigned to each employee,if one employee leaves, that one login can simply be deleted without affecting the others using the account. There are a few limits to these logins. The additional logins do not have API access, the ability to initiate mass emails through an external email client, or the ability to FTP to the JangoMail server. Only the administrator's login can utilize these functions. 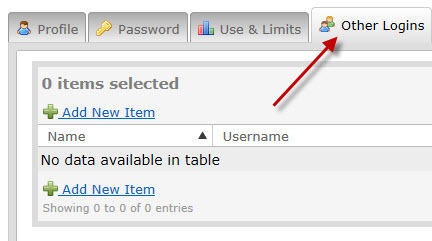 Login with the current username and password, and go to the My Account section in the upper right of the interface. 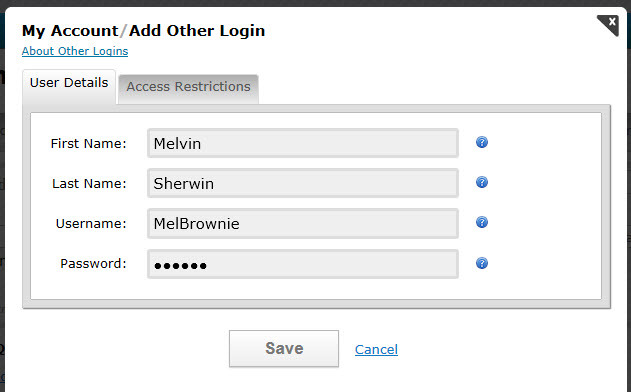 Select the Other Logins tab. Click Add New Item to add a new login. You may choose to restrict access to certain pages on the Access Restrictions tab. The list of login credentials will then be available in your account for your ongoing maintenance (add, edit, delete). We have now expanded the General Job Statistics Report's filtering abilities, making it easier for you to locate a specific email campaign. Now, you can use the CampaignID filter to locate specific jobs quickly by searching for the campaign's unique numeric identifier. We have now deployed fixes for two bugs related to handling foreign characters in personalization. Using our ability to do "on the fly" personalization with the API in the SendMassEmail method, we were not properly encoding personalization when it involved a non-English character set. With this correction, you can now submit personalization field values that DO use the non-English character set, provided that it is specified in the CharacterSet option. When storing data in a JangoMail Group, foreign characters inserted into a group member's field previously had turned into neutral placeholders when saved. Now JangoMail can correctly store foreign characters in Groups too and use that for personalization.